Supply Chain Management (SCM) is an umbrella term. Yet, all SCM activities have an overarching goal: increasing the value creation for the end customer, in a production chain with multiple partners. Part one of this article describes Supply Chain Management 1.0. This increases the flow of products and/or services. Supply chain wide, from 'sand to customer'. Part two of this article describes Supply Chain Management 2.0. Where SCM 1.0 is limited to the execution, SCM 2.0 also encompasses the design of supply chains. Thay way, it not only makes value chains faster and more customer-friendly, like SCM 1.0. It also makes supply chains cheaper, more innovative, smarter, more robust, more agile, more sustainable and more social. When the term Supply Chain Management (SCM) was introduced in the eighties and nineties of the last century, SCM was defined* as all activities aimed at chain-wide improving the flow of materials and information. Supply chain management 1.0 extends operations management. Chain-wide fine-tuning and adjustment, end-to-end, is its goal. So, the focus of SCM is end-to-end, from origin to consumption. Ergo: from sand to customer, or whatever other phrase you prefer. Let's compare the above definition of SCM, which we will call SCM 1.0, with the goals of the most important logistical improvement methods. These are Lean manufacturing, Quick Response Manufacturing (QRM) and the Theory of Constraints (TOC). Taiichi Ohno, one of the founders of Lean, said about the Toyota Production System: ‘All we are doing is looking at the time line, from the moment the customer gives us an order, to the point when we collect the cash. And we are reducing that time line’. This means that improving the flow end-to-end, from the raw materials and the suppliers, until the delivery of the goods, is the goal of Lean. SCM 1.0 is therefore incorporated in Lean. 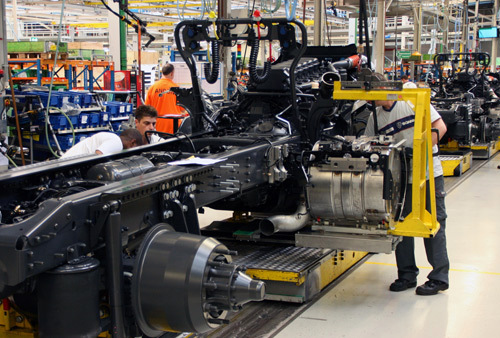 Scania is a nice example of a company that extended the scope of its Lean production to end-to-end. Their factories supply each other just-in-time. Within QRM, chain-wide thinking is present even more explicitly. QRM aims to reduce the so-called Manufacturing Critical-path Time (MCT). This is defined as the amount of calendar time from when a customer creates an order until the first piece of that order is delivered, through the critical path. The latter means that you start with the raw materials, and end at the customer. Finally, lets look at the TOC. System thinking is characteristic of this improvement method, even more than with Lean and QRM. 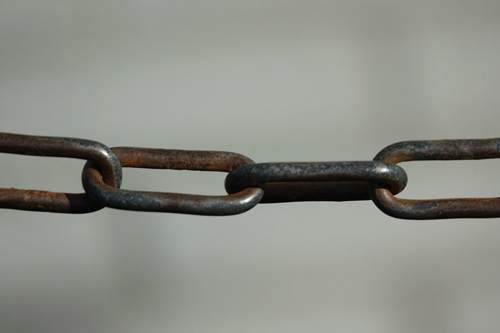 According to the TOC, a supply chain is as strong as its weakest link, the bottleneck or constraint. Therefore you should always trace the link that is most restraining at a particular moment. Next, this bottleneck is exploited in the best way possible, or even lifted. The TOC gives the best results if the suppliers and customers are involved in the analysis. Only then is it possible to trace and exploit the most important constraint in the entire supply chain. So, chain-wide thinking is prescribed by the TOC. According to this theory, only products or services that reach end customers are of importance: Profit = Throughput - Operating Expenses. This means that also the TOC entails SCM 1.0. This site has extensive sections describing Lean, QRM and the TOC, including dozens of case descriptions. Because we concluded that all these improvement methods include SCM 1.0, this justifies the question whether a separate article explaining SCM is needed. We do think so, even if this article was about SCM 1.0 only (which is not the case). We have various reasons why it is important to explain the aims of SCM. First, lets turn it around: could you apply SCM without doing anything concerning Lean and/or QRM and/or TOC? Probably not. Improvement methods like Lean add something essential to SCM: direction. The customers are placed centrally, supply chains are there to serve them. For this reason, perhaps SCM should have been called Demand Chain Management. It should however be noted, that this does not mean making anything a customer asks for, but responding as appropriately as possible to the customer needs. Another reason to give separate attention to SCM, is that there are actually not many companies yet, that really improve chain-wide. On the contrary, even within the walls of one company, it is already very difficult to prevent local optimization! 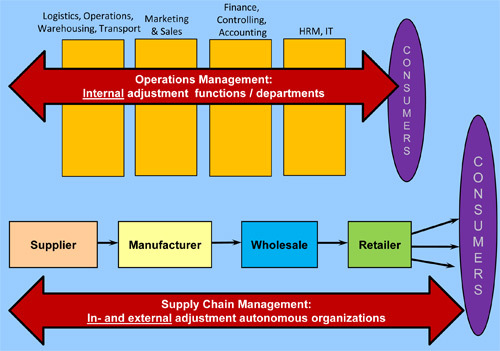 Supply Chain Management (SCM) aims at maximum value creation for the end customer at the lowest cost, in a supply chain with several autonomously functioning partners (and if this is not the case, than at least in a chain with physically separate locations). The activities within the scope of SCM range from chain-wide planning & execution - thus displaying, coordinating and optimizing the flow of materials and information - up to supply chain strategy & design. The latter covers for example the development of supply chains with the most appropriate and most innovative chain partners, the biggest agility, the lowest chance of disruptions, the lowest possible impact on the environment, and the best possible working conditions. SCM makes supply chains faster, more customer-friendly, cheaper, more innovative, smarter, more robust, more agile, more sustainable and/or more social. This is accomplished by optimizing the flows of goods and services - and matching streams of information, knowledge and money. This is done supply chain-wide, in cooperation with each other. The fact that it is already so difficult to avoid local optimization inside companies, makes it even more important to emphasize that a ‘boundlessly optimized chain’ is and remains the holy grail for SCM. Michael Hammer and James Champy, who were in 1993 the founders of Business Process Reengineering (BPR), already said that it is needed to break through departmental boundaries. Companies should transform into process-oriented organizations. To this end, multidisciplinary teams are formed, who are responsible for complete processes. Within Lean, these processes are called value streams. In the context of SCM 1.0, those value streams should include the extended enterprise, which starts with the suppliers and ends with the customers. This means that you also have to eliminate boundaries between companies. Internally, organizations are increasingly more often being ‘tilted’. Professional disciplines then continue to exist, but everyone contributes shoulder to shoulder to customer-oriented processes. Externally, still relationships are often managed via contracts, of which the thickness reflects the degree of distrust. This is less and less effective. Instead, you better join forces. To make this possible, the aforementioned ‘tilting’ should be extended to the supply chain. This message is not new, it was already told 20 to 30 years ago. However, today there is more reason than ever to take this message to heart. This reason is the increase of the amount of ‘VUCA’, the level of volatility, uncertainty, complexity and ambiguity in value chains. As a result, every day becomes different, because the demand for products and services is becoming more and more variable. To deal with this, a supply chain should become responsive. At the same time, the uncertainty in terms of supply is increasing. So, a supply chain should become resilient as well. Only when you meet both requirements, then your supply chain is agile. Command & control, locally working reliably and at low costs as a result of strict agreements with suppliers, used to work well in the past. An example of this are the thick contracts mentioned before. Logistics often only means doing things a bit more efficient in your own company. Today, this is no longer sufficient. A paradigm shift is required to built supply chains that are able to sense & respond. As a whole they should react faster to market changes. This asks for transparency, coordination and cooperation. Collaboration in chains requires trust. In addition, the partners must share a common goal that is being pursued. Third, all partners should receive a fair share of the profits of SCM. Lean, QRM and the TOC pay little attention to this aspect. For example, Lean leads to higher profits due to lower intermediate stocks in the supply chain. However, nothing is said about how to make this a win-win situation for every partner. Sometimes there is a dominant player who dictates the supply chain. Think of a large company, such as Toyota, Walmart, Apple, Unilever or Amazon. Sometimes, software-based control from a so-called supply chain control tower is applied, to calculate what each link should do at what time. However, leaving the control of the supply chain to one powerful party, does not necessarily lead to the best solution. For example, not every partner will be willing to do it’s very best for the dominant player. A supply chain will only reach his full potential, if all partners collaborate on the basis of equality. Contrary to what many people think, it is not enough if every partner internally strives for process excellence. Sometimes ‘negative’ measures are needed at one place, because these will bring larger advantages elsewhere. A bad example is forcing a supplier to deliver just-in-time, because this fits so nicely with your Lean production. Often this only leads to a shift of inventory to that supplier. In that case, supply-chain wide no improvement is realized. On the contrary, the situation has worsened: there is more transport, while the inventory costs did not decrease. A good example of SCM is the prevention of the so-called bullwhip effect. This occurs if a company orders more from a supplier to cope with an increasing demand, and adds a buffer quantity to this order. If the supplier concerned then orders also more plus a buffer at their supplier and so on, in the end at the beginning of the supply chain a lot more will be produced than necessary. This bullwhip effect can be prevented by passing on information about the actual consumption, based on the purchase of end products, to all links in the supply chain. Companies usually are not just part of a single supply chain, but participate in several value chains. In addition, these can concern diverse product-market combinations. This means that each chain could need another strategy. Sometimes, for example, speed of delivery can be decisive. In another case, flexibility and customization are more important to the end customer. Every company can be seen as the center of its own network of partners. You might compare this with a large railway station, along which several value streams run. This seems to make SCM to an almost impossible task. However, it is not needed to built an equally intimate relationship with all your trading partners. When you apply SCM, you focus on the partners that contribute the most to make you stand out in the market and add most to your value creation. 80% of your attention should go to these partners. Now let us assume that you have overcome all the obstacles mentioned earlier. This means that, per value chain, you are part of a supply chain in which all partners wish to work shoulder-to-shoulder, to maximize the amount of customer value created. Even then, there are some technical issues that remain be dealt with. Process improvement methods such as Lean make disruptions in value streams visible, as improvement possibilities. Everyone must be able to see his or her contribution to the production chain, and in case of problems, he or she should be able to restore the flow and (preferably) even enlarge it. 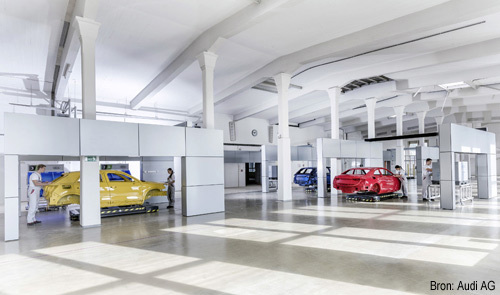 Making the flow of materials visual is not to difficult on a shop floor inside a company. However, how to extend this ‘visual factory’ to a supply chain? There is some good news, regarding this. Thanks to the digital revolution, it becomes increasingly simpler, and especially cheaper, to share SCM data. However, a reservation should be made here. Under the heading of internet of things, also called smart industry and industry 4.0, it is sometimes suggested that it has become easy to connect everything and everyone with internet technology. That is not the case. For example, there are many safety-related issues. In addition, as mentioned earlier, the supply chain partners must trust each other enough to share their business data. An important reason to pay separate attention to SCM, are the many problems and challenges you encounter when you really want to improve chain-wide with Lean, QRM and / or the TOC. With this we conclude our description of SCM 1.0. However, there is much more to tell! Today, Supply Chain Management, transcends the idea of end-to-end optimization of the flow of products and/or services. The definition of SCM has broadened over the past two decades to what we will call SCM 2.0. It includes things like supply chain strategy, co-innovation and supply chain design. We will discuss SCM 2.0 in part 2 of this article. > Continu to read in part 2! *) It is not true that there were no broader SCM definitions at that time, that for example took into account the possibility of co-innovation. In the early days, however, this was a purely academic (and utopian) discussion.